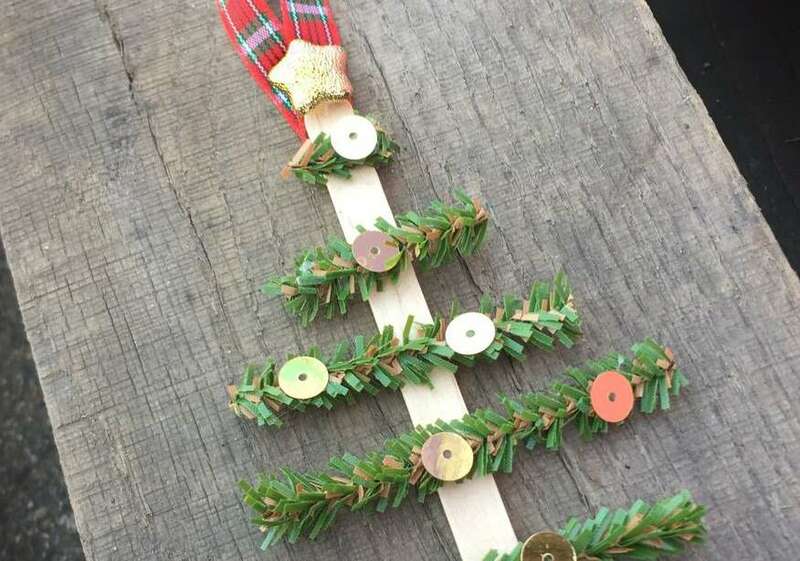 Christmas is just around the corner and this cute Popsicle Stick Ornament could be a sweet little DIY gift the kids could make for grandma and grandpa. 1. For this project begin by placing 5 glue dots on the popsicle stick. 2. Place the pipe cleaners in order of smallest to biggest, beginning with the smaller piece. 3. Add small dots of glue to the pipe cleaners in the patter you would like your sequins and add the sequins. 4. 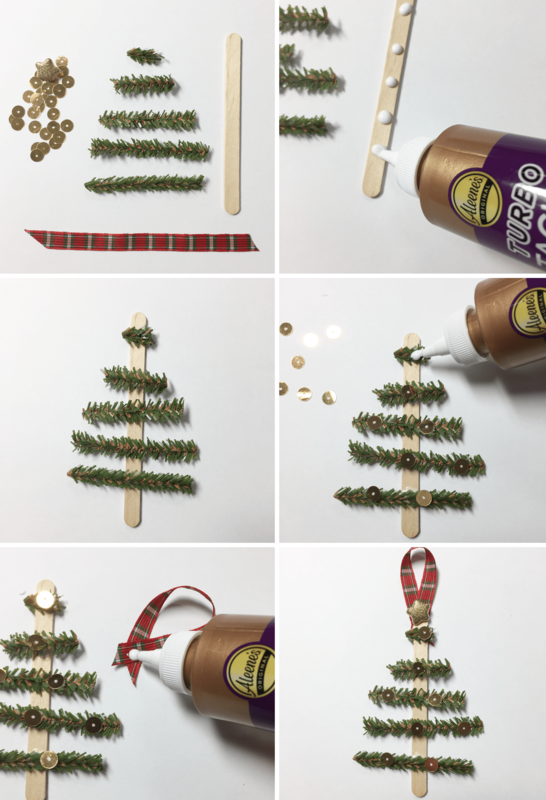 Use a small drop of glue to place the ribbon onto the back of the Popsicle Tree Ornament. 5. Finish it of by gluing the beaded star to the top of the tree. This cute little tree ornament is a simple DIY project the entire family can enjoy making to give away to loved ones, or just to place it on the Christmas tree for years to come.